Explicit Call Me When It's Over-Episode 148 | Did You Catch That? 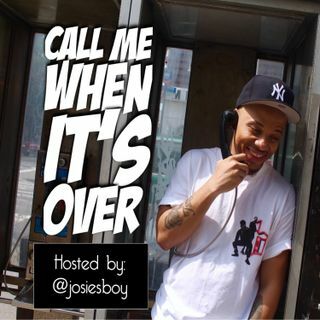 On the road to episode 150, your two favorite hosts keep the party going with episode 148 of Call Me When It’s Over!. On this weeks episode, “Did You Catch That?”, Josiesboy (@josiesboy) and Alexis (@alonafuss) go over a little bit of social media relationship standards. Plus, if you listen ... See More closely, there might have been a cat let out of a bag lol. •Standards Vs Preferences: What really matters?